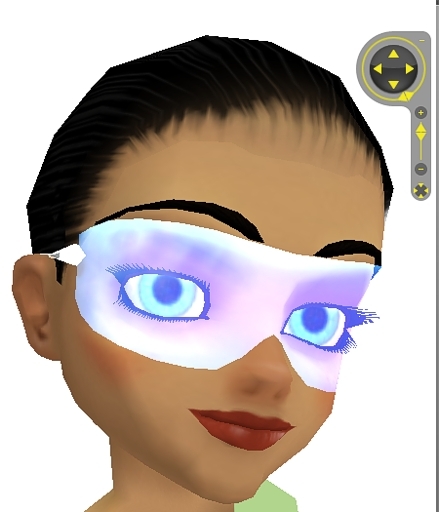 Opacity maps are used to tell Create Mode which parts of your product you want to be seen and which you want to be invisible - it basically cuts out parts of the texture. * only use blending if your product has sheer/ semi see-through parts. 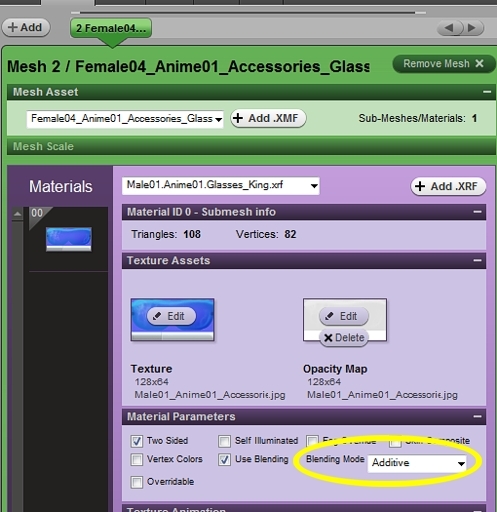 This is because of blending clashing - if you have a blended material in front of another blended material, it often causes one of them to disappear. This is why your avi sometimes goes bald when you stand it behind windows. So it's best to leave blending turned off whenever possible. For this example, let's make a skintight tanktop. We'll derive from a skintight top, such as this one. This top covers all of the upper body and arms, so to turn it into a tank top we need to use an opacity map to cut out the parts we don't need. First of all, here is a guide to show you which bits of the template correspond to which bits of the body. 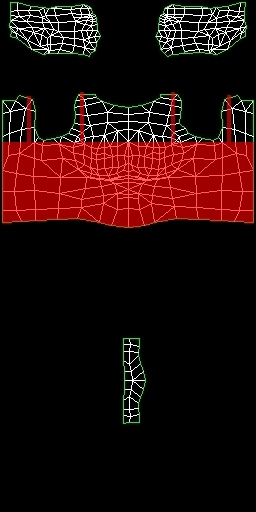 This 256x512 template is used for most skintights - it wraps around the body of the avatar. 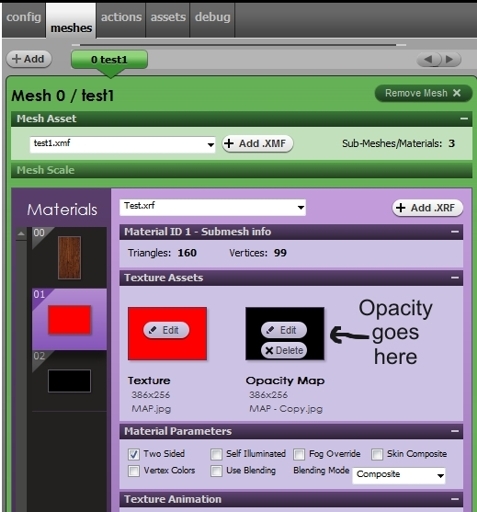 To put the opacity map into Create Mode, go to the Materials section in the Meshes tab. You can see where the texture and opacity maps go. 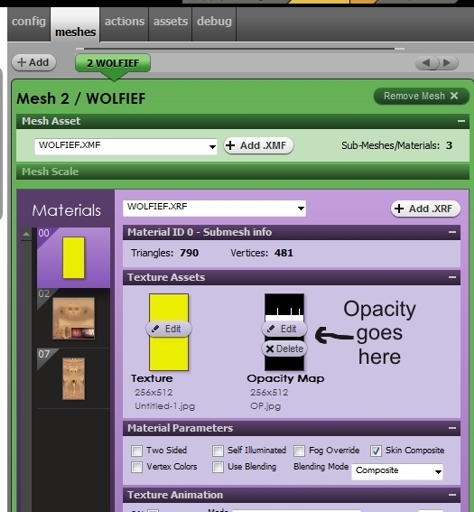 Click the Edit button over the opacity map slot, choose your opacity map, then click Open. 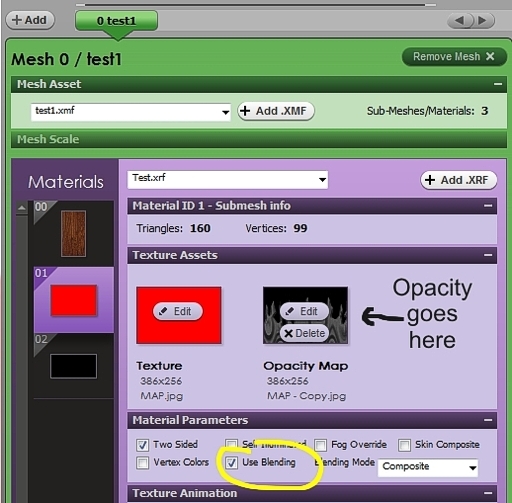 To add your texture click on the Edit button over the texture slot, choose your texture map, then click Open. Click "Apply Changes" and you'll see that your opacity map has changed the boring skintight top into a boring tank top! For this example we'll make a backdrop/enhancer. 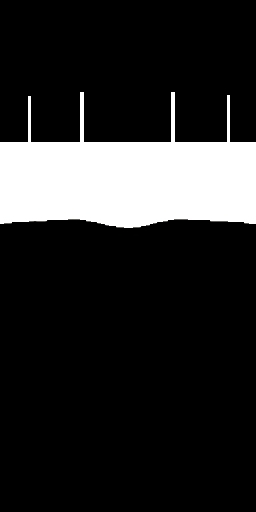 Derive from a flat plane, such as this one. This product is basically a wall, which uses an opacity map to cut parts out and turn it into something! 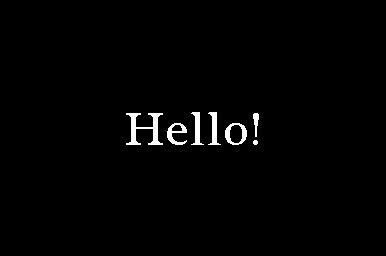 Click "Apply Changes" and you'll get a floating "Hello!" Under the drop down menu you can change the settings for Blending Mode. 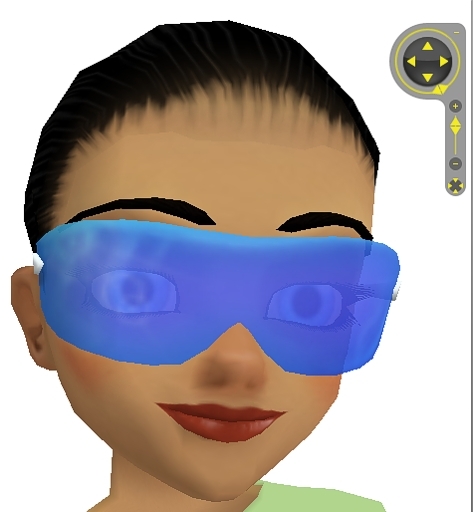 Most of the time when we need blending we will be using 'Composite' - this simply makes the texture transparent (for example, the lenses in a pair of glasses). These are all very basic examples, but opacity map can be used to create all sorts of products, from simple shapes to complex designs - just play around and use your imagination! I hope that my tutorial makes sense if you are confused or have any questions don't hesitate to ask! 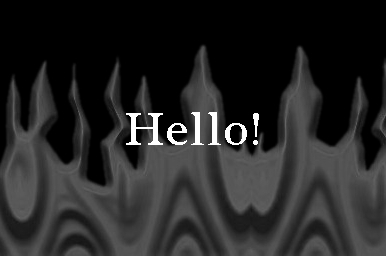 You may use the opacity maps I have provided to create new products if you wish. 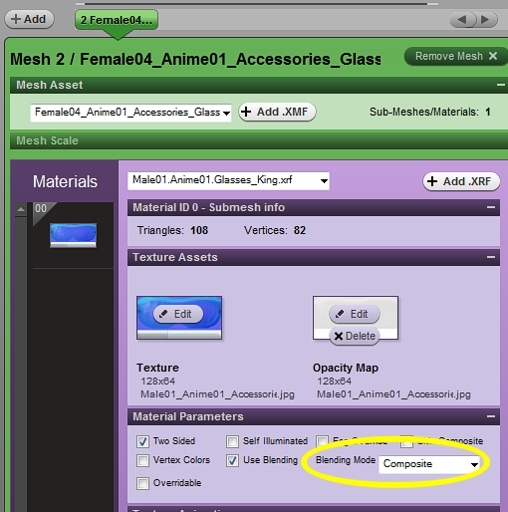 Could you maybe add something on differences between additive and composite blending? Sorry Roy, haven't checked in here for a while! It is hard to explain because it's one of those things that is better experimented with to see if it works with the rest of the product. Basically you don't use an opacity, just paint what you don't want to show pure black. The rest will show up depending on the strength of the lighting in the room, so it will be virtually invisible in a brightly lit room but look great in a dark room. Additive is ideal for flames and light beams etc but only if it's dark or you can enclose them with a dark background, like flames inside a blackened fireplace for example. I'm sure you can explain it better though with some pictures and stuff.